Our venue and washroom are both wheelchair accessible. Newcomers are welcome. Basic meditation instructions for beginners available 1⁄2 hour before start time at our evening and Sunday practice sessions. Others please arrive 15 min. before start time. Latecomers please sit in the entry hall until the sitting period ends, and come in at the beginning of walking meditation. We have plenty of options for sitting gear: meditation cushions (zafu), benches, support cushions, and chairs. Beginners will be helped to find the right sitting gear for them. Facilitator-led informal practice. Doors open at 7:00 PM and close at 9:30 PM. 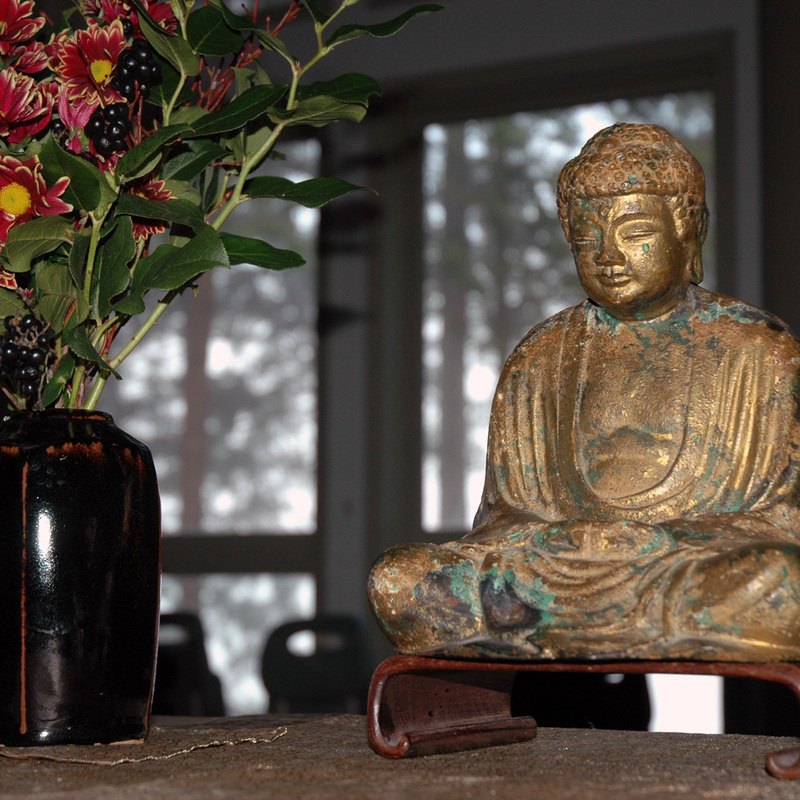 Dharma seminar: a 4-6 week series on a particular text or theme led by our Guiding Teachers. The format is an informal talk by the teacher, followed by small-group talking circles, sometimes with a writing exercise. On weeks between dharma seminars, the zazen periods are lengthened to 30 minutes each, a chanting service is held, followed by a reading/short talk and large-group talking circle. Dharma talk by guiding teachers or sangha leaders. Informal early morning zazen. Doors open at 6:15 AM. Come for as long or as little as you like.